If the late Swedish crime fiction author Stieg Larsson, who gave us The Girl With the Dragon Tattoo and its sequels, had lived to see this, it might easily have fueled a brand new trilogy. A 38-year-old man and a 24-year-old woman were caught red-handed leaving the scene of a crime, laden with stolen tea, coffee and a pilfered toilet seat. The fact that the scene in question was a courthouse is not an irony that's escaped any news outlets, from The Huffington Post to a number of Swedish sources. The restroom robbers left a court hearing before raiding the break room and removing the seat of an innocent toilet in the commode. They were spotted on security footage attempting to break into a storage locker and were met by police just outside the building in Kristianstad. Thankfully, Swedish authorities are treating the situation with the necessary gravity. "It's been said they had been at a hearing," Mikael Persson, a member of Kristianstad police, told the local Swedish newspaper Kristianstadbladet. "They clearly thought what was said was crap." It turns out these two thieves may be wanted for other crimes as well - they're being held under suspicion of robbery as well as attempted robbery. But why would anyone want to steal a toilet seat in the first place? Were the Crown Jewels of England the regular recipient of bare rears, a thief might think twice before snatching them up. While Larsson might have come up with a caper worthy of Conan Doyle, the truth of the matter is much more banal. Much like a picked-over car, toilets make for popular parts and scrap fencing. Parts may also show up on lists during especially unusual scavenger hunts. While there are a limited number of ways to ensure that your own toilet seat isn't stolen (one of which is simply to have normal friends), you can make sure that it's worth stealing. Keeping your toilet seat in gorgeous and pristine condition is a great way to elevate your bathroom from merely normal to gorgeous. 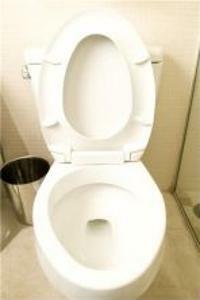 Keep your toilet in good shape with regular scrubbing and cleaning. Use high-quality brushes and bleach, and keep scented candles and a book of matches around, since half one's experience with a room's cleanliness is olfactory. Just remember that if someone does take off with your beautiful seat, lid or bowl, it can't be anything other than a crime of passion.